Available in 2 sizes: for large 130 x 180 mm (5" x 7") and small 100 x 100 mm (4" x 4") hoops. You can read about how to make the coasters on the page with instructions. 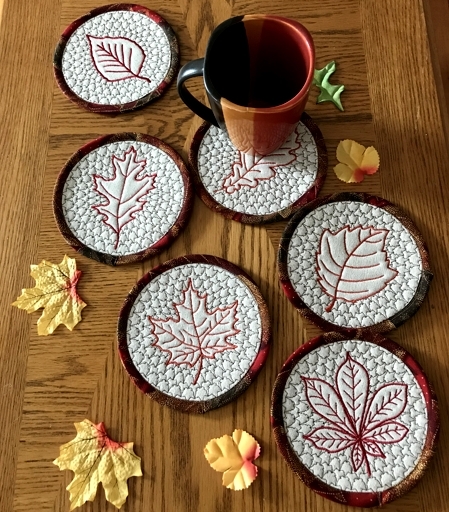 This set of machine embroidery designs is part of our Kitchen and Thanksgiving collections. It uses the Graphic Technique and Quilting techniques. 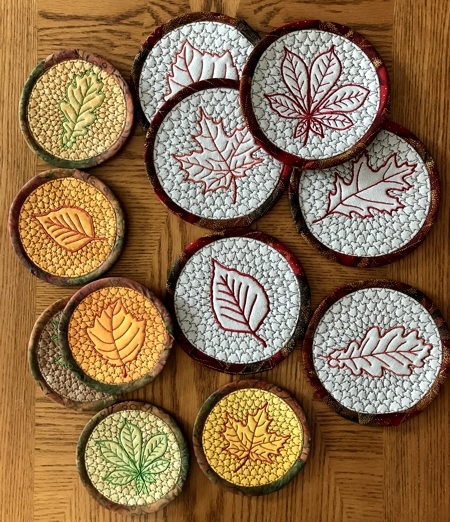 The designs is available for the Large hoop (5" x 7") and Small hoop (4" x 4").